The yellow brown Rhizome is obtained from the tropical spice plant, which has many branches and an aromatic scent. There are specific substances that are responsible for the sharp and typical taste of ginger. In its tropical home Southeast Asia, it has been grown there for millennia and used as spices and medicinal plant. In addition to the essential oil, the roots also contain Gingerols and Shogaole, which determine its sharpness. This not only has a distinctly spicy flavor of ginger, but helps effectively against many diseases and last but not least the traveling nausea. If you take ginger, you immediately notice the effect of the sharp tuber: it is warm and it pleasantly burns on the palate. Nausea: Whoever was traveling on a ship and suffered from sea sickness, finds help with ginger tea. The same is true for vomiting and nausea in pregnancy and chemotherapy. The root is simply cut into small pieces or rubbed against a ginger grater, and taken with hot water as a tea. As well, many dishes can be flavored with the effective root. Nevertheless, preterm contractions can be caused by the use of ginger tea, in such a way that the treatment of these pregnancy complications are only carried out in consultation with the doctor. Pain: The Gingerols existing in ginger are of a similar structure such as acetylsalicylic acid, a widely used pain reliever. In traditional Chinese medicine, migraine is treated with ginger. The roots of ginger as a medicinal plant relieves other pain, like rheumatism or muscle pain by overwork. Indigestion: The sharpness of the root helps to spice up food in the case of both bloating and constipation. The ingredients stimulate the production of bile secretions and accelerates the digestion of fats. When greasy foods are stuck in the stomach, a cup of ginger tea helps. Colds: The essential oils and sharp components strengthen the immune system and prevent colds. They heat up the inner body and thus promote blood circulation of the mucous membranes. This makes it so difficult for viruses and bacteria to settle there. At the same time, the body benefits from the anti-inflammatory and antibacterial effects of ginger. Blood sugar level: If the glucose contained in food is not absorbed into the body cells, it still circulates in the blood and leads to an increased blood glucose level. The active ingredients of ginger, however, support the intake of sugar circulating in the blood and ensure a reduction in blood sugar levels, researchers of the University of Sydney. Menstrual cramps: If a woman suffers from cramps and pain in the abdomen during her menstrual period, ginger can help. It warms up interiorly, relaxes muscles and relieves the pain. The ginger root extract can either be taken internally as ginger tea, or applied externally as ginger oil, depending on personal taste. Both forms are effective. 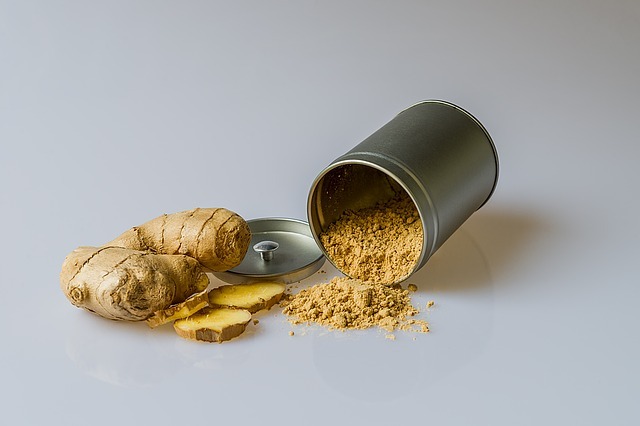 Diet: Ginger as a medicinal plant might effectively stimulate metabolism and thus positively influence a reduction in weight, this is not yet well proven. However, the positive effect on the body is without controversy. It can be drunk as ginger tea, added to food as a spice or eaten as a sharp piece of candy. Fresh ginger is the mildest, by the way, the longer it is stored, the sharper it becomes.